Start your Farm Bureau Claim Now! Glas Tek is a proud approved Farm Bureau windshield replacement and auto glass repair shop. We honor all Farm Bureau’s contract pricing and warranty guidelines so that policyholders have the confidence they need, that they have chosen an honest and reliable company. Glas Tek is a trusted and preferred mobile service provider for Farm Bureau for a reason. With a lifetime warranty and free mobile service, countless insurance companies have come to depend on Glas Tek for all their auto glass repair needs. Customers have also come to expect the same level of excellence. For instance, even though Glas Tek already offers its customers a nationwide lifetime repair and replacement guarantee, Farm Bureau takes that guarantee to another level, promising to back their warranty. Glas Tek believes in its workmanship and lasting quality and guarantees all Farm Bureau windshield replacement and auto glass repairs against manufacturer defects, leakage, and workmanship. This warranty lasts a lifetime and is available nationwide, giving customers the peace of mind they need to get back on the road and stay on the road. This is the Glas Tek promise. When you are ready to make a Farm Bureau windshield replacement claim; Farm Bureau uses a third party administrator to help file your claim seamlessly and with little effort. This administrative service provider will ask you several easy questions to get your claim off the ground. Glas Tek is proudly an approved provider for Farm Bureau Insurance plus when you choose Glas Tek you will receive up to $150 Cash Back to put towards something much more intriguing than auto glass repair. We are an approved Farm Bureau windshield replacement shop therefore; there will never be any over charging or extra out of pocket costs for you or your insurance company. This up to $150 Fast CASH notable perk is just one of the many little things that make Glas Tek a touch above the rest and the name that so many businesses and families depend on year after year. In addition, no fault Farm Bureau windshield replacement or auto glass repair claims will not increase your insurance premiums. That’s right, if the windshield break was caused by a rock and no fault of yours by Arizona state law, insurance companies cannot increase your monthly payments. When you are ready to get started on your Farm Bureau windshield replacement or repair, Glas Tek can help you file your claim. Contacting Farm Bureau together helps ensure that you get exactly what you need without the guesswork. We will guide you through the entire process from start to finish and answer all your concerns before the claim process begins. Of course, you have the choice to submit a auto glass replacement claim online on your own but it can make all the difference in getting your claim filed quickly and easily when you enlist the help of Glas Tek. You can even start your Farm Bureau auto glass replacement claim online now with Glas Tek. Farm Bureau windshield replacement claims only take about 10-15 minutes of your time and in most cases can be scheduled same day. Farm Bureau will waive your comprehensive deductible for a windshield chip repair. Therefore, if you carry a $500 deductible on your comprehensive policy, Farm Bureau will cover the entire cost of the windshield repair so that their is no cost to you. Plus, by AZ state law, filing a no fault windshield repair claim will not increase your insurance premiums. Insurance companies offer this coverage to help prevent needed windshield replacements. However, keep in mind, that a windshield chip repair will not make the break fully disappear on your windshield. Typical windshield repairs may clear up to 80% but the outcome depends on many factors including: size, type of break, location of break, and time the break has been present on the windshield. Windshield repairs come out best when caught right away and no dirt or debris has entered into the cracked area. For more information on chip repairs visit our windshield repair FAQ’s and windshield chip repair process page. 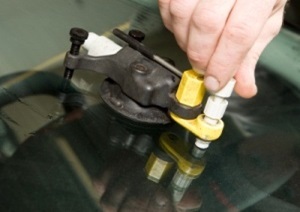 Windshield repairs take only about 20-30 minutes to repair and keep the factory seal intact. If you choose to have a windshield chip repair done and are unhappy with the results of the repair Farm Bureau will approve for a windshield replacement. However, if you carry a deductible, you will be required to pay the deductible in full before Farm Bureau picks up the cost for the full replacement. In most cases, full windshield replacement costs will be under $250.00. We offer discount auto glass prices and free lifetime rock chip repairs with all new windshield replacements. You can get an auto glass replacement price online now! If you carry the auto glass endorsement on your policy, Farm Bureau will pay the cost in full and we will bring you up to $150 CASH. When you choose Glas Tek, you are choosing the best Farm Bureau windshield replacement shop. Glas Tek will help you file your Farm Bureau windshield replacement claim from start to finish. 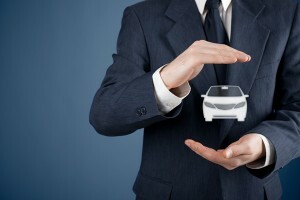 We will guide you through the process and answer any and all questions that you might have during the claim process. In addition, Farm Bureau backs Glas Tek’s nationwide lifetime car windshield warranty for all their service work. Glas Tek strives to be the name you choose anytime you need a windshield replacement or repair for one of your vehicles. Together, Glas Tek and Farm Bureau insurance make windshield replacement and auto glass repair claims a cinch. If ever you feel confused about your current claim or have questions about the process, you can always contact Glas Tek for helpful service and simple solutions. The claims process is much smoother than you might expect and if you run into any hurdles there will always be a helping hand to walk you through them each step of the way. From small repairs to advanced windshield replacement, you are in great hands with Glas Tek.